These are some examples of media coverage we've gotten over the years. 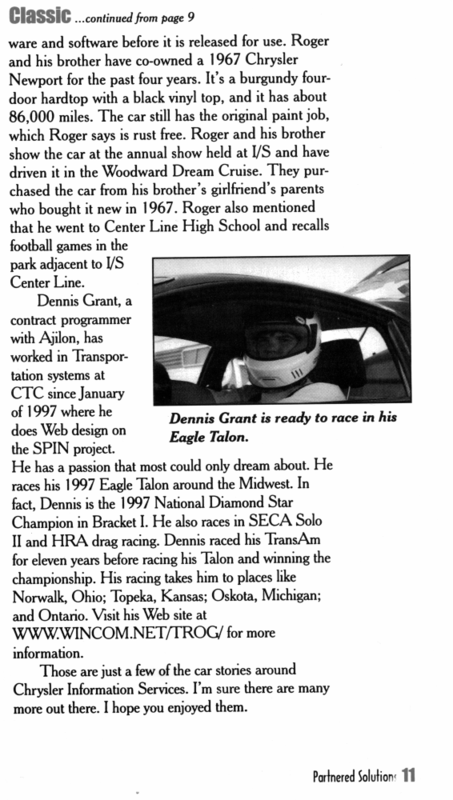 TV Interview for Hi Rev Tuners on Speed TV, September 2002. In-car footage from the 2001 Petersburg ProSolo, with data from the logger overlaid on the video. An early version of data-overlaid video. My three runs on the North Course at Nationals 2000, the inaugural appearance of Street Modified at Nationals. In-car footage from the 1997 Detroit Season Ender. It's ugly, but we all start somewhere. 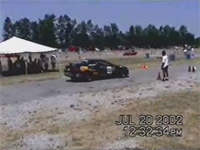 In-car footage from a competitor's car shot during the 2004 DC ProSolo. We make an appearence. 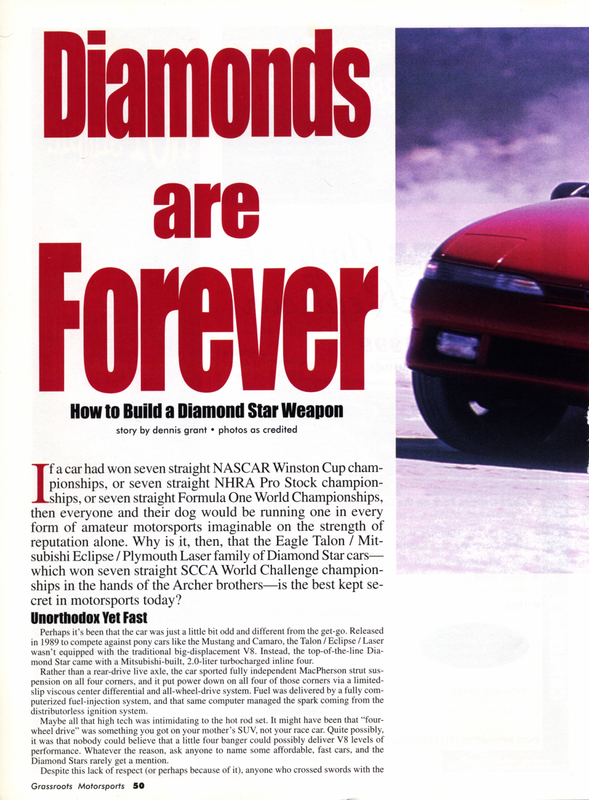 The story that started it all - Danny Shield's "Leaving the Line" ProSolo column from the August 1998 issue of Sportscar. This was our debut race in ProSolo, and we made quite the splash. Story from my perspective is in the Race Diary. 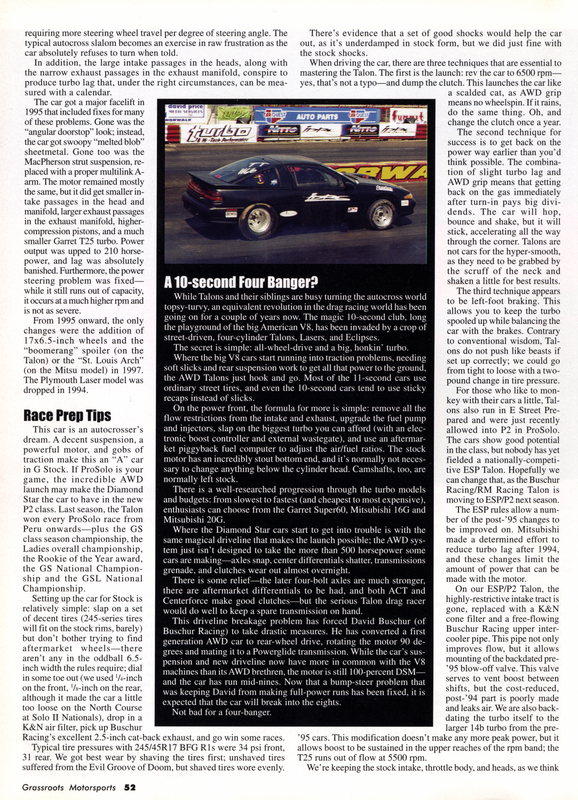 An article I wrote for Grassroots Motorsports April/May 1999. 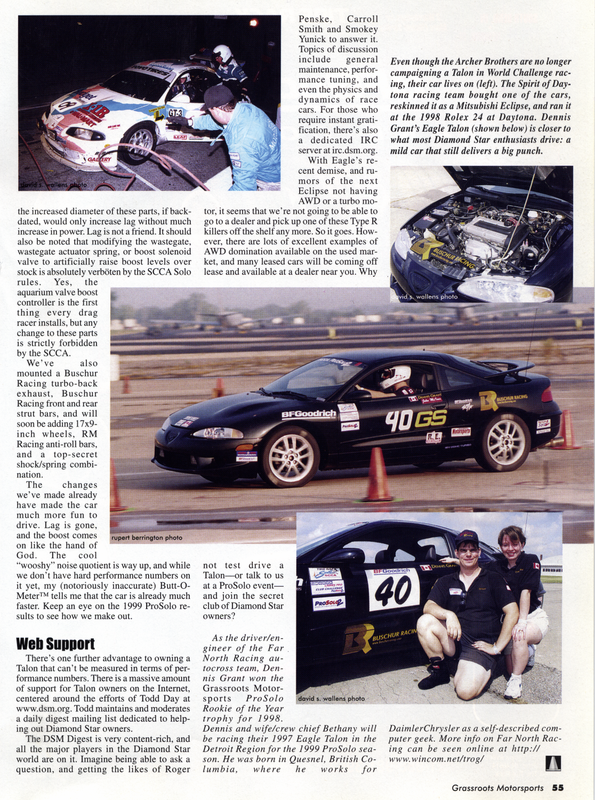 Grassroots Motorsports May/June 1999. We sneak into the background of a picture of the Thomas car. 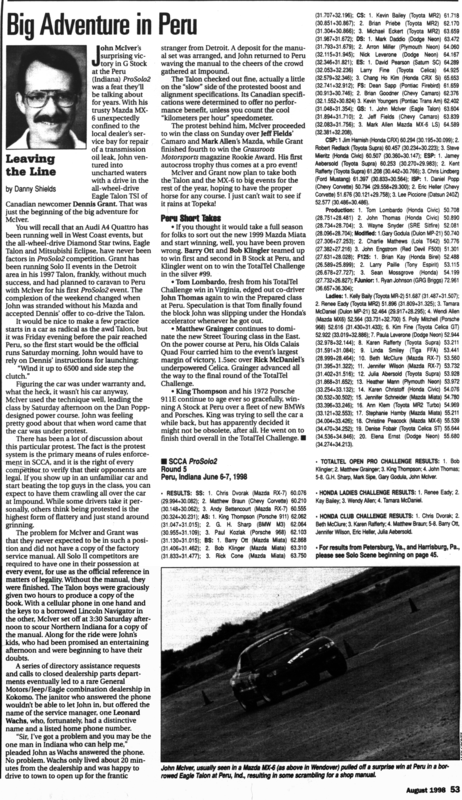 Story is in the Race Diary. 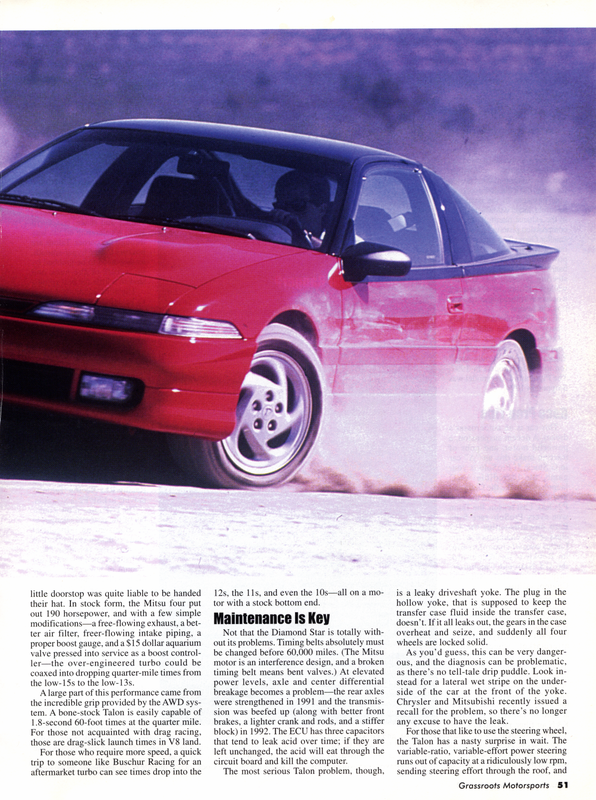 Partnered Solutions (a Chrysler internal publication) 3rd Quarter 1997. 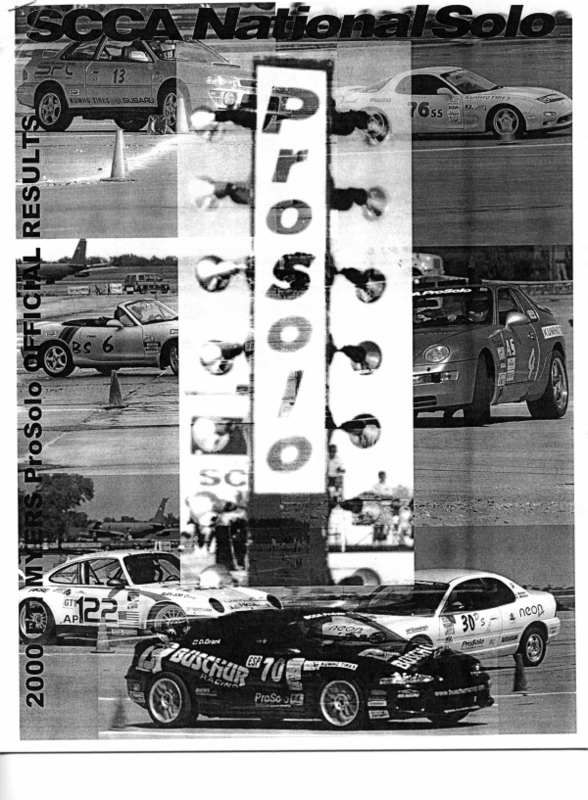 The cover of the offical results for the 2000 Ft Myers ProSolo. SAE Canada Dinner Presentation I was asked to be a guest speaker at an SAE Canada dinner at the University of Windsor. This is the presentation that goes with that speech.